that time when I was confused for my sisters' mother. 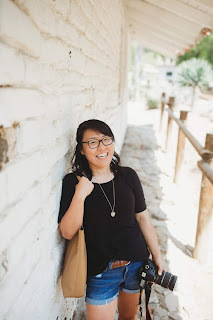 I'm thinking this blog is LONG overdue in a post about me (and less about Pinterest, perhaps?). But particularly, a post where you can get to know me (like here, for example). Preferably in a way that makes you laugh, chuckle, or at least smile, right? 1. I'm scared of walking outside in the dark by myself. Even if it's a well-lit area. And even if I'm just walking the dog (which I avoid doing by myself at night). I blame it on watching too many crime shows (i.e. Criminal Minds). 2. I used to want to be a doctor because I wanted to help people. But then, my fear of needles and blood came about. Plus, I'm terrible at math and science-y things. Yeah, that one's not going to happen. 3. I don't have my driver's license. I never got mine in high school because I was super scared of hitting people/other cars (still am, btw). But...I'm driving now. Still with a permit. But that's progress, right? 4. I have a bad habit of pretending to itch my forearm when I'm nervous or in an awkward situation. I call it my awkward alert. Kidding, I just made that one up. 5. 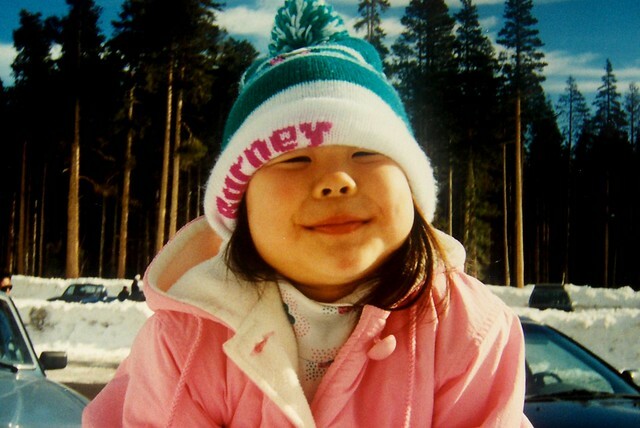 I used to be the overweight Asian. I am by no means skinny, but I've lost some weight and gained some self-esteem since college started. 6. I sing in the shower. A lot. Which is always embarrassing when you get out and hear a family member knocking on the door or calling my name. How long were they listening, anyway? 7. I've been confused for my sisters' mother once. Yes, I just said sisters. And yes, that's probably the MOST embarrassing situation I've ever been in. Let me explain. 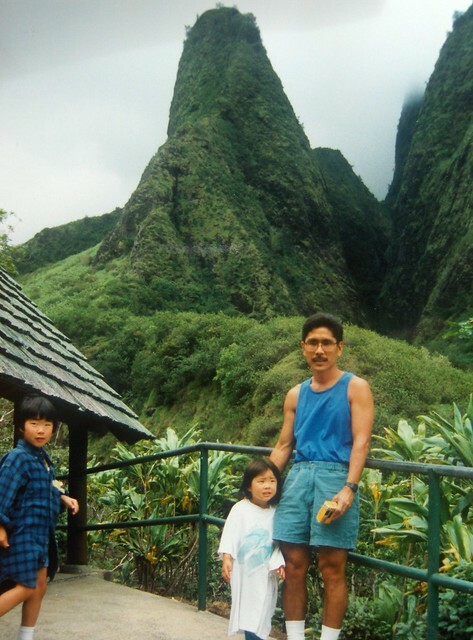 When I was in high school, my family and I went on vacation to Hawaii. My parents, the avid active peoples they are, went running on the beach one morning and my sisters and I decided to look for seashells while they ran. Anyway, this older guy comes walking by later on, playing his harmonica, and looking all casual. Yeah, cue the super vigilant stranger-danger radar. I was probably not-so-discreetly staring at him the entire time. And then when he gets closer, he asks my older sister to help him up to the higher level of sand (the beach had two levels of sand and we were sitting up right against the ledge) and so she does. The whole time, I'm like worried he's going to kidnap the three of us. Soooo, I'm watching him and then the guy says something along the lines of "Are you their mother?" (in reference to my two sisters). My response "No." What was I thinking inside, you ask? How about "No way José!" or "Creepy!" and "Where is my dad?" Anyway, the guy kept walking, playing his harmonica. And I'm pretty sure all three of us laughed nervously. But yeah. Talk about embarrassing and awkward. 8. I'm a little self-conscious about my breath which then kick-started my need for almost-constant gum chewing. Let's just say I'm more of a fan of minty fresh breath than morning fresh breath. 9. 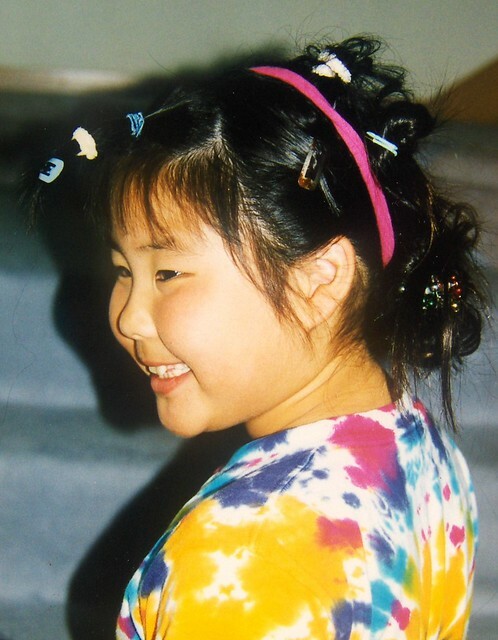 When I was younger, I used to "moo" according to my family. Like a cow. Let me explain a little. Basically, whenever I was annoyed or upset with one of them, I would make this noise that sounds like "mmmm" but in an angrier, more grunty voice (I have no idea how to describe it). 10. I didn't start wearing jeans until the eighth grade. The eighth grade, people. Yeah. Don't even start. Let's just say I wear jeans almost everyday now. I guess that makes up for all the years I did without them? Your turn! Got any silly childhood stories you'd like to tell now that I did?